“Do you have any advice on brogues/wingtips/Oxfords to wear for work? 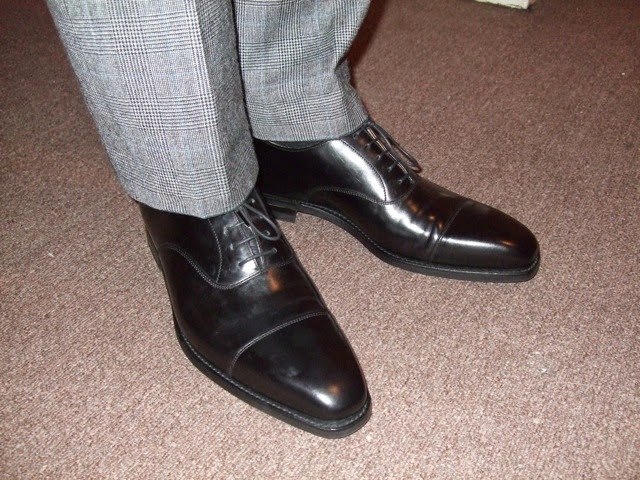 I prefer shoes that are slim and elegant, rather than the classic English clumpy numbers. I have gone down the hand-made route, only to be very disappointed and, furthermore, I am not prepared to pay the enormous price tag this entails. Surely there must be an elegant, slim and classic gentleman's shoe somewhere that won't make me look like I have elephant's feet. Gosh, Jacob sounds like a man in a mood when it comes to footwear. But before I come up with some suggestions for him, I will start with my handy guide to shoe terms. A wingtip is just an Americanism for brogue, the name coming from the "w" toecap pattern, which looks like a pair of outspread wings. 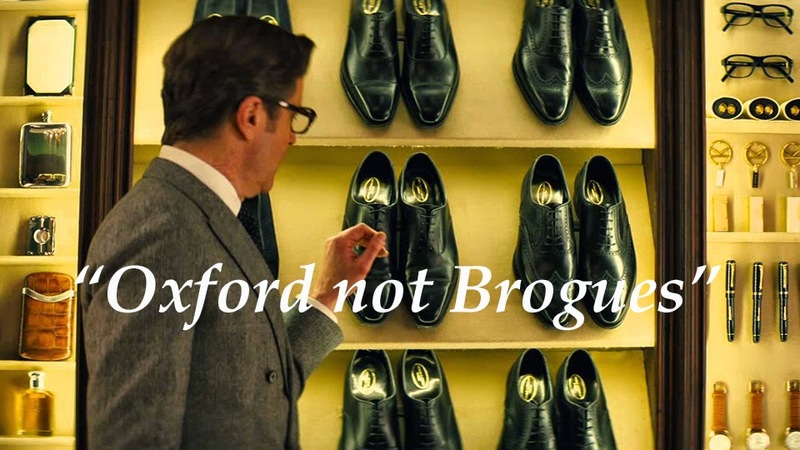 Many people think that the term Oxford (sometimes also referred to as Balmoral) also has something to do with toecaps but, in fact, describes a type of shoe where the tongue is a separate piece of leather sewn on to the upper, and so the laces close. When the tongue is actually a continuation of the upper and the laces are open, this is known as a Derby (or a Blücher in America). The clumpiness that Jacob complains about is most likely the result of a Goodyear welt. This is when the sole is visibly sewn on to the upper, leaving a line of stitches around the shoe. It is named for the son of the inventor of vulcanised rubber (and of tyre fame), who first produced the machinery used in the process. I personally like a clumpy shoe, but then I have relative small feet (size 8) so can get away with a suggestion of the pachyderm in that department. 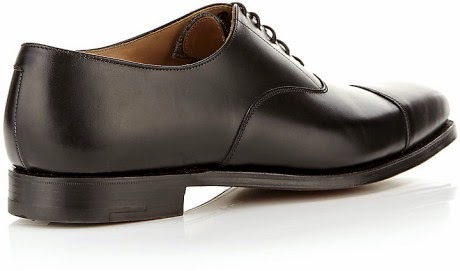 If you are like Jacob and looking for something a little more elegant, I would suggest you look for a slim Oxford shoe. Crockett & Jones always has a good selection of formal black lace-ups which are the antithesis of the sturdy classic Northampton English shoe. 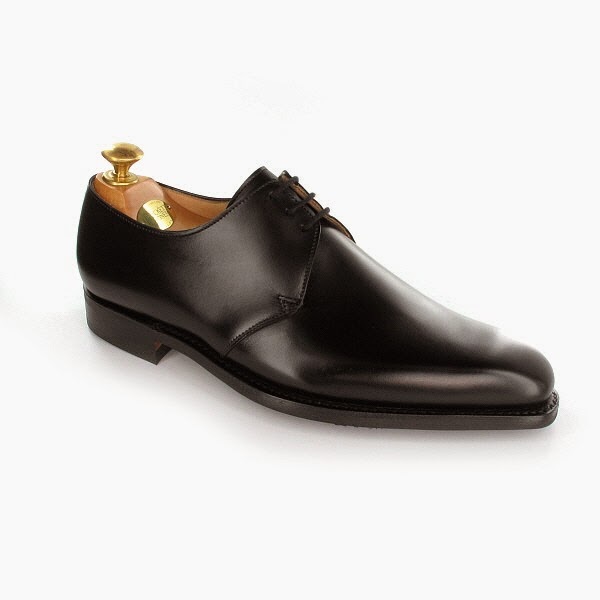 I particularly like the Oxford Hallam, the design of which may ensure Jacob ceases to stamp his feet in frustration.